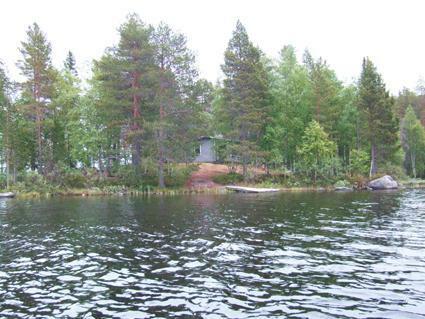 37 km southeast of Kuusamo, Lake Joukamojärvi 15 m (length 25 km, width 4 km), low, sandy beach, rowing boat. 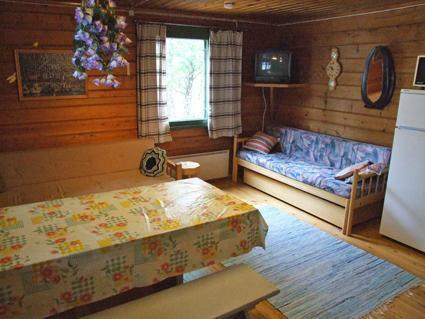 Log cottage, built in 1981, alcove: 2 beds, combined kitchen/ living room: 2 x sofa bed for 2, sauna, dressing room, open porch. 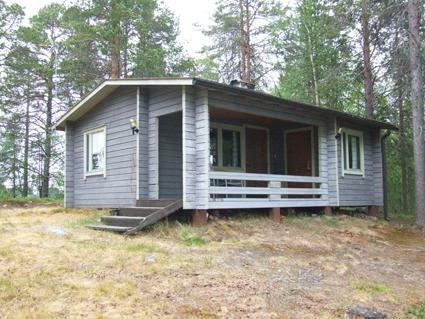 Log cottage situated on Lake Joukamojärvi, in the Jämsänsaari -island (about 300 m boat trip from car parking, on winter time owner gives a lift by snow mobile sleigh, when ice road is not possible to use). 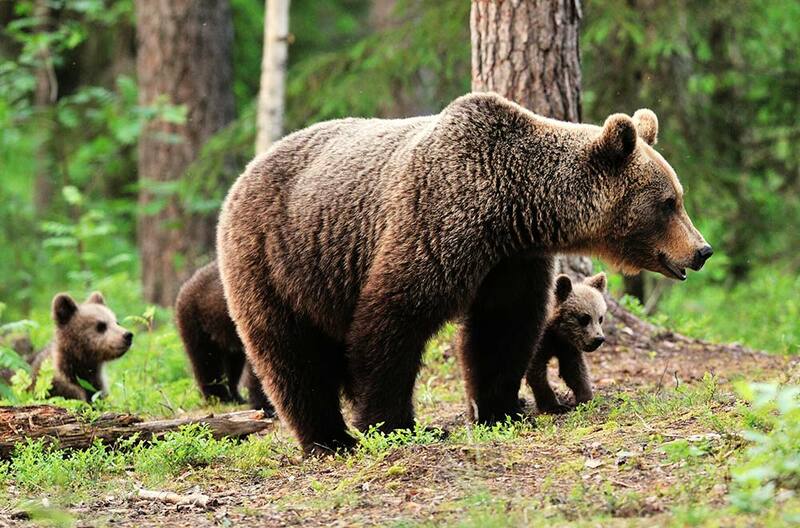 Other distances: Oulanka National Park / Pieni Karhunkierros Trail 80 km, Ski Center Ruka 65 km. 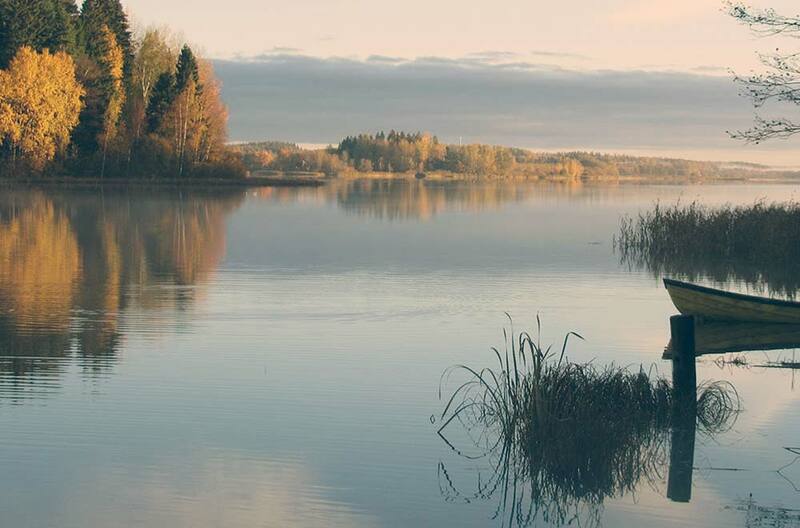 Additional information: Excellent opportunities for fishing in winter and summertime (for example whitefish jigging in autumn). More information for fishing from the owner. 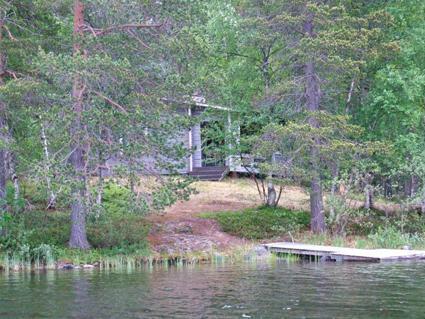 Possibility to rent outboard from the owner. Owner makes ski-track in winter time next to cottage. Bed linen are not available. 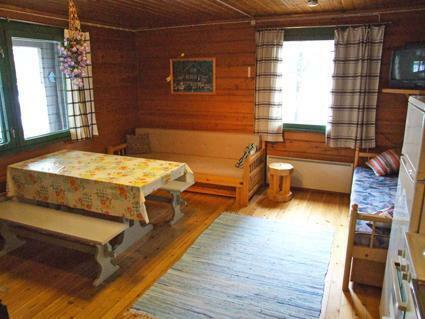 Cottage is not rentable during early May and from mid-October to mid-December, because it can not be reached at that time.